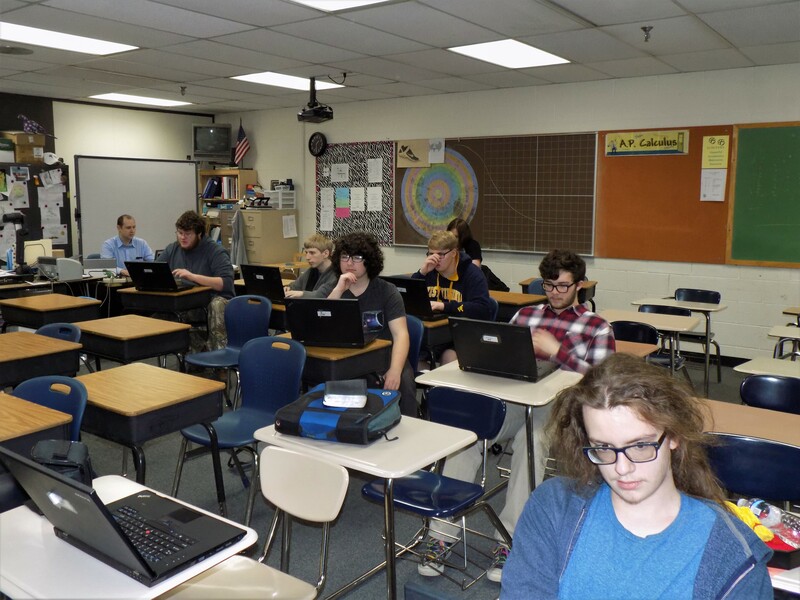 Computer science is a new class taught by Mr. Neil this year at NCHS. The computer science class counts as a math credit, and it is only offered fifth period. In this class, students work with coding programs such as Python and Elixir. The Grizzly Gazette: so how long have your tried to create a computer science class? Mr. Neil: I’ve tried several years to try to have a computer science class. The Grizzly Gazette: What grades are allowed to join? Mr. Neil: I guess any grade can, but the math is more advanced than a regular math class. The Grizzly Gazette: What’s your background in computer science? Mr. Neil: Since the time I was 8 years old, I’ve worked in coding, trying out different programs since then until now. The Grizzly Gazette: What are you going to do in computer science next year? Mr. Neil: Working on the same program first semester and maybe trying something new with second semester. The Grizzly Gazette: Why did you want to create a computer science class? Mr. Neil: I do computer coding for a hobby and wanted to make a class to teach others about coding. The Grizzly Gazette would like to thank Mr. Neil for taking time out of his busy schedule to answer our questions! Next Get Well Soon, Mrs. Lanham!